The starting minutes of the match witnessed a wide-open play. Both teams fought for every inch of the pitch and tried to get near the goal employing a positional play, though barely creating any scoring opportunities. The Donetsk team demonstrated a reliable game on their side of the pitch and intensified the situation at their opponents' side through set-play. The normal time ended in a draw 0-0. The winners of the match and the champions of the tournament were to be decided in a penalty shootout. 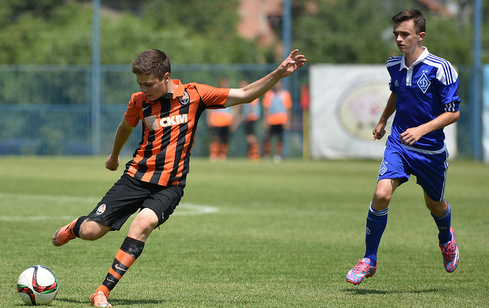 The first shot by Shakhtar midfielder Vladyslav Kobylianskyi was wide, however, the following three shots from the spot by his teammates Dmytro Avdieiev, Fedir Maslov and Leon Hladkovskyi were successful and the Pitmen took the lead in the series - 3-1. The Kyiv team needed to score in order to continue, but Turbaievskyy deflected a corner shot and brought victory to his team. 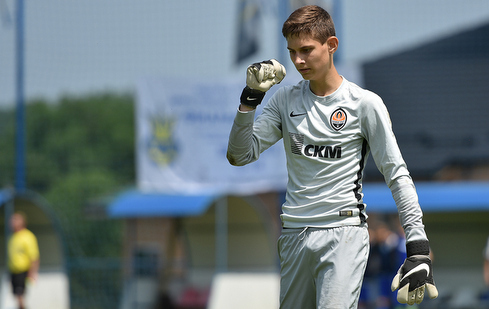 "We sought to win, and we worked hard," Shakhtar U14 coach Andrii Zabolotnyi noted, "Our goal was to become number one. Fortunately, we were successful. All the guys did really great. They were very responsible in regard to the tasks we set them, and they did not lack the desire or patience. It is now crucial for the players to understand that winning is the result of a tremendous effort and that a good play and success do not just happen. "The tournament has brought only the most positive emotions. It took us a year to come to this victory and it was not easy. Our goal was to be number one, and that is what we achieved. To be honest, I was a little worried during the penalty shootout, but it is quite common. When the opponents were taking the penalty kicks, I was trying to guess the corner instead of following the ball. And at the vital moment, I did manage to deflect the opponent's shot. I would like to thank the coaching staff for working with me and helping to achieve this result. Our team's defender Roman Shysh was named the best player of the tournament and Mykyta Turbaievskyi became the best goalkeeper.